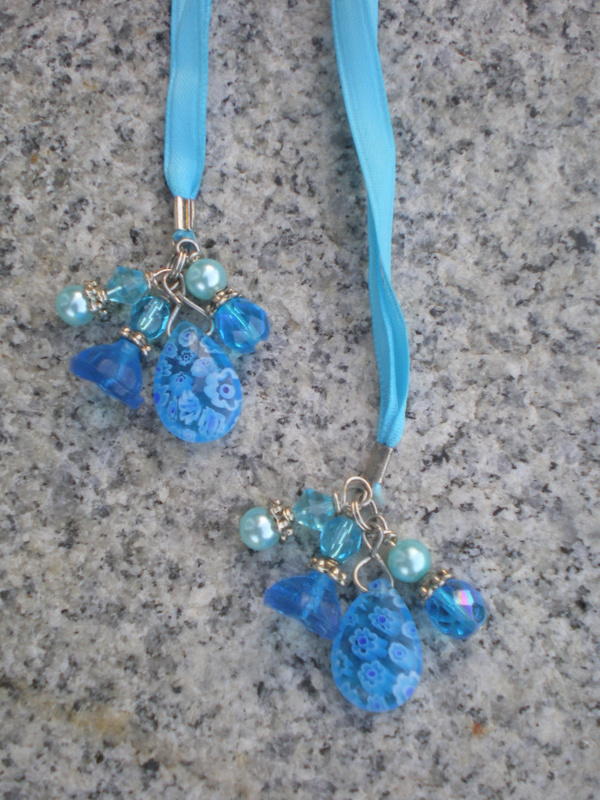 2 large aqua millefiore briolette beads,aqua crystal pearls,glass flowers,aqua ribbon. 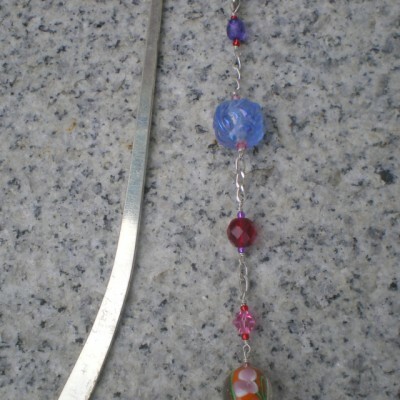 10″ long without the charm. 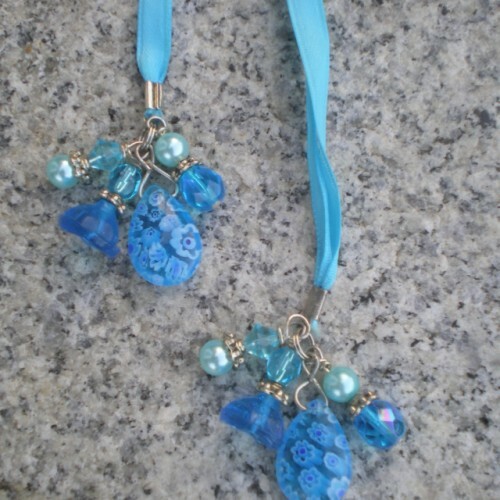 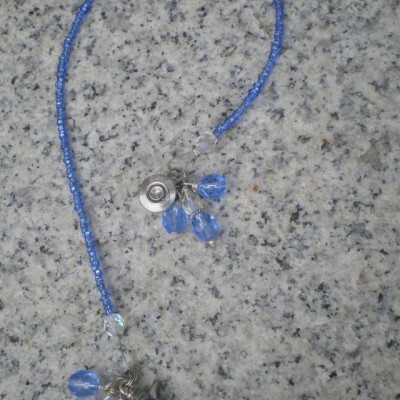 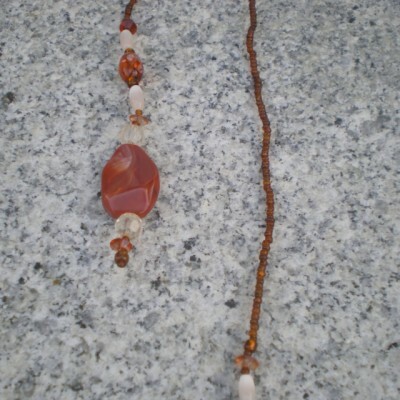 Be the first to review “Aqua Millefiore beaded bookmark” Click here to cancel reply.